UK retail sales are terrible, it is the worst Dec in almost 10 years. This has nothing to do with the BREXIT, we are seeing the samething around the world, the [CB] system is falling apart and there is nothing hiding it, this is the first time we have seen a [CB] system implode without an event. The IRS is reporting that they were hit hard during the shutdown and it might take months or even a year to recover, the question is was this part of the plan. The Patriots are in control, the pull back in evident, the push to stop the [DS] plan in 2020 is moving forward. Trump warns there will be more layoffs in the news industry. Trump and the patriots have been leaking information to the fake news, they are in the process of being setup, the [DS] players are being let down a path and they don’t even know it. Pelosi and the [DS] are now pushing their plan to create a minny DOJ and push impeachment, this will fail, the senate was the key. Trump has trapped the [DS] on the wall issue, no matter which path they choose the wall will be built. Trump and the patriots are pushing their agenda in Venezuela, think NK, Syria etc… He is giving them what they want, or is he. Voter fraud has been revealed and Trump will use this during the 2020 elections. “Worst December in 10 Years”: Brick-and-Mortar Retail in the UK Faces Overindebted Consumers. The government’s Office of National Statistics (ONS) confirmed the slowdown in total retail sales at year-end, but given the surge in online sales, came up with less dreary numbers. It says that seasonally adjusted retail sales, including the booming online sales, in December fell by 0.9% from November; and fourth quarter sales declined by 0.1% seasonally adjusted from the third quarter. .
Online sales surged 13.9% in December year-on year, according to the ONS, and accounted for 20% total retail sales in December. The Internal Revenue Service has told lawmakers it would return from the government shutdown buried in millions of unanswered taxpayer letters, weeks behind schedule on training for workers and needing to hire thousands of new employees for this tax filing season, according to two House aides. The National Taxpayer Advocate, a government watchdog group that oversees the collection agency, has also told House staffers it is likely to take at least a year for the IRS to return to normal operations, according to the two House aides, who spoke on the condition of anonymity because they were not authorized to speak publicly about the numbers. The watchdog group told House staffers that the recovery would take 12 to 18 months, one House aide said. These numbers assume the government does not shut down again in three weeks. The Federal Reserve to continue its more “dovish” stance. All it took was a rough December, pressure from Wall Street’s member banks, and a disgruntled White House to completely flip their thinking. China has launched their own version of “Quantitative Easing” to help prop up their slowing economy. Lastly, the ECB downgraded Eurozone growth and there is a likelihood that not only will they not raise rates this year, they will also extend the TLTRO program. The plan to have the FED raise rates [steep incline beginning Mar 2019] in an effort to ‘kill’ the economy prior to 2020 P_elec is known and planned for. “Ax falls quickly at BuzzFeed and Huffpost!” Headline, New York Post. Fake News and bad journalism have caused a big downturn. Sadly, many others will follow. The people want the Truth! ….about all of the one sided Fake Media coverage (collusion with Crooked H?) that I had to endure during my very successful presidential campaign. What about the now revealed bias by Facebook and many others. Roger Stone didn’t even work for me anywhere near the Election! So CNN was the only news source that was tipped off, the question need to ask ourselves is why, The DS needed a distraction and they needed to show something dramatic, they needed to change the narrative, but this will be short lived, what if the White Hats leaked fake info and put all this into motion. Roger Stone was arrested early in the morning as the FBI always does. Another American attacked by the mobsters in the Deep State due to his relationship with this President. But there is something more than coincidental about this arrest this morning. Not only was CNN there to film the arrest, proving again that the Mueller mobsters are colluding with members of the deep state and corrupt media, but there is something more. There always is a something that is breaking related to the corrupt Deep State whenever they attempt to change the news cycle. Today is no exception. Over the past couple of days the testimony of former FBI General Counsel James Baker was released. Baker resigned and he too was a crook and involved in Deep State efforts to aid Hilary Clinton in her bid to become President and their attempted coup to remove President Trump after he defeated Hillary in the 2016 election. What Baker said was shocking, especially his testimony surrounding the missing corrupt FBI agent Joseph Pientka. The Foreign Intelligence Surveillance Court [FISC] was not alerted to the fact that much of the information in the surveillance warrant on Trump campaign foreign policy adviser Carter Page was being provided by paid political propagandists employed by the Hillary Clinton campaign. To continue receiving Trump-Russia collusion propaganda from opposition research firm Fusion GPS and Christopher Steele—who had been hired by Fusion GPS on behalf of the Clinton campaign and DNC—the FBI established a backchannel through former Associate Deputy Attorney General Bruce Ohr at the Department of Justice. After every meeting with Steele, Ohr would sit down for an interview with FBI Special Agent Joseph Pientka, who would fill out official FD-302 interview forms to pass on the information within the FBI. 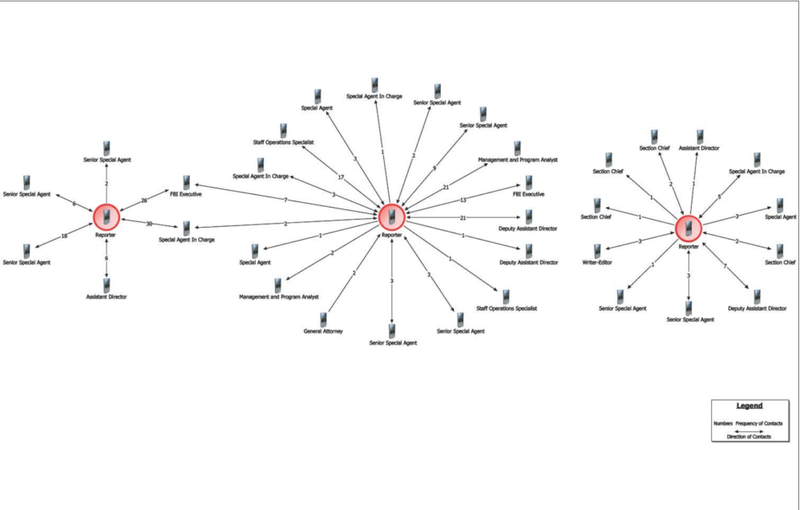 It seems something spooked the SpyGate plotters into presenting an appearance of drawing back from Christopher Steele and Fusion GPS while still surreptitiously using that political propaganda shop as a source for their ongoing investigations. This backchannel allowed the FBI to hide Fusion GPS’s—and the Clinton campaign’s–role in providing much of the “evidence” being used to drive these politically-motivated investigations of Trump and his associates. This means it’s highly likely that when Bruce Ohr’s personal notes from his meetings with Fusion GPS are compared with the official FD-302 interview forms that Agent Pientka filled out following his interviews with Ohr, they are not going to match when it comes to what the stated source was for the Trump-Russia information. Cates tweeted the point from his article where he states that Pientka is involved in two major scandals involving the Trump – Russia collusion sham – these phony 302s he took from his discussions with Ohr was one. Pientka was also the agent, along with the very corrupt and now fired FBI Agent Peter Strzok, who ambushed General Michael Flynn at the White House which led to reports Flynn lied to the FBI. 2) The secret Fusion GPS/FBI backchannel. OF COURSE they’ve got him under oath on both of these. Pientka has some very damaging goods on the entire Russia collusion sham which may all be connected to Uranium One, the Iran deal and other real Russia collusion actions taken by the Obama White House. This is why he was not interviewed by Congress (because they all know the Dems would leak and mislead any information from these investigations). Now lets go back to BuzzFeed for a minute and the article that they ran that was completely fake, phony and false. you might have noticed recent trend in the Democratic National Committee (DNC) media complex: the number of over-hyped Trump–Russia collusion “bombshells” that get published are coming faster and faster—and they quickly blow-up and fall apart within just a few days. Reporters don’t have to produce any evidence themselves for their stories before they go public with serious accusations against designated targets. In fact, in modern DNC media “journalism,” it’s often the case the reporters don’t even need to see any of the evidence themselves before publishing a story. All they need are anonymous sources who make a claim they saw something. The mere claim from a few anonymous sources is now enough to launch stories containing explosive accusations that come to dominate a daily or weekly news cycle … before they are exposed as being fake. This brings me to just the latest media fiasco that erupted over the past few days: the BuzzFeed fake news report that the Special Counsel had documentary evidence proving President Donald Trump directed his then-lawyer Michael Cohen to lie to the Congress about a deal to build a Trump Tower in Moscow. Written by intrepid BuzzFeed reporters Jason Leopold and Anthony Cormier, the story quickly took off on publication and dominated the national news for an entire day. BuzzFeed chief editor Ben Smith says the media outlet has spoken to the leakers again and is standing 100 percent behind its report. Note Smith hasn’t claimed the leakers showed BuzzFeed any documents. He and Cormier continue to blather about BuzzFeed’s awesome vetting process, which apparently doesn’t include actually seeing anything backing up the claims their anonymous sources are making to them. The Patriots are leaking information to catch these individuals, the documents the leakers viewed actually do say Trump told Cohen to lie; it’s just that the documents they viewed weren’t real. They were fakes. 4. Stone was arrested, what happens with all these arrests, discovery, now more information can be gathered. After a few months of head-fake commentary downplaying the Democrat party objective to use the House for an impeachment process, Speaker Nancy Pelosi drops the pretense. What does Putin have on @realDonaldTrump, politically, personally or financially? Why has the Trump Administration continued to discuss pulling the U.S. out of NATO, which would be a massive victory for Putin? The tweet itself is connected to, and comes on the heels of, Speaker Pelosi publishing a statement about the Special Counsel, DOJ and FBI arrest of Roger Stone. From Pelosi’s House rules, we now know Elijah Cummings will deliver the schedule for impeachment hearings before his deadline on April 15th. Remember what Donna Brazile tweeted out. SESSIONS‘ forced release of name [HUBER] to House created another variable. Do you think all these attacks on ‘Q’ (We, the People) is simply for a person on the internet who they label as a conspiracy? Impeachment requires 2/3rd vote by the Senate. YOU ARE WATCHING FAKE NEWS FAKE POLITICIANS FAKE HOLLYWOOD ALL PLAY TO THEIR ‘DESTROY AMERICA’ BASE. We have just seen the power of the Senate and why it was so important, the house tried to push spending bills that did not have the wall funding, what happened, they were shot down each and everytime. Now Trump is letting the American people know why we need the wall,how much was spent on illegals, he is hitting the people where is counts, their wallet. You are gonna love it, Schumer funded Israels wall but wont fund ours..
Trump tweets out a short video, showing israels wall, showing Schumer to be a hipocryte. No, Pelosi is utterly boxed in. Either she caves on funding and appears weak to her caucus, or she blocks funding and gets zero concessions, appearing weak to her caucus. Either way, Trump still gets the wall. There is no direction in which Trump does not win. With the UK already refusing to return $1.2 billion on Venezuelan gold, the nations of Western Europe have just taken the next step toward ousting the Maduro regime: Four European governments – France, Germany, Spain and the UK – warned on Saturday that they would recognize Juan Guaido (the head of the Venezuelan assembly who earlier this week declared himself the country’s acting ruler until elections can be held) as Venezuela’s legitimate leader unless a date for new elections is called within eight days. 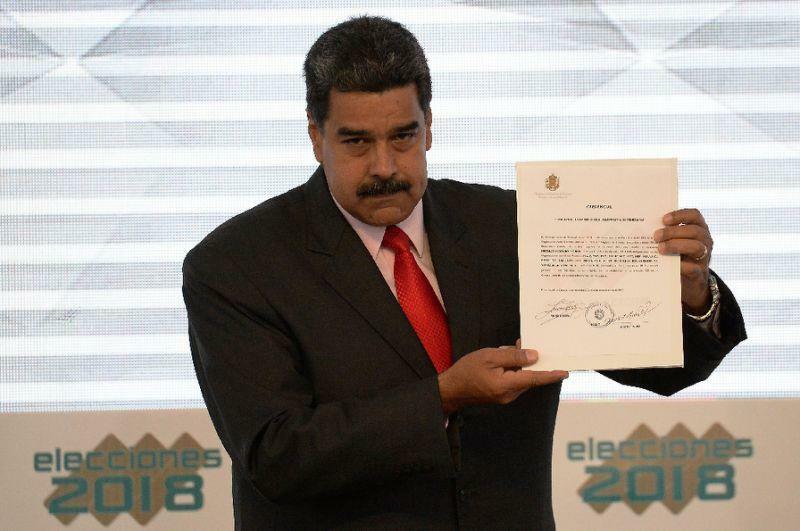 Some EU member states, namely France, Germany and Spain, are calling on Venezuelan President Nicolas Maduro to hold a “free and transparent” snap election. Otherwise, they vow to follow the US example and recognise Juan Guaido as interim president of Venezuela. The Russian Foreign Ministry noted on Saturday that the statements made by France, Germany, and Spain with regards to recognising Juan Guaido as Venezuela’s interim president were identical and made by European leaders simultaneously, according to Maria Zakharova, the ministry’s spokeswoman. “The statements are not only identical, but they have been made simultaneously,” she wrote in a Facebook post. This observation comes after earlier in the day, Spain gave an ultimatum to Venezuelan President Nicolas Maduro, saying that it would recognise opposition leader Juan Guaido as country’s president if the incumbent leader fails to announce an election in eight days, Spanish Prime Minister Pedro Sanchez warned. “If a fair, free and transparent election in Venezuela is not convened within eight days, Spain will recognise Juan Guaido as the president of Venezuela,” Sanchez said in an official statement. In what appears a move meant to slow or calm the ratcheting external pressures on the Nicolas Maduro government after over a dozen countries led by the United States have declared his second term “illegitimate” and after White House officials said “all options are on the table” for dealing with the crisis, the embattled president has walked back his earlier demand for American diplomats to exit the country within 72 hours. Maduro’s second term will keep him in office until 2025, via AFP. All ‘western’ media repeat the claim that the U.S. sponsored dude claimed the presidency based on article 233 of the constitution. But none of them refute that obviously false claim. Article 233 of the constitution (pdf) of Venezuela details the procedures for the case that the president “becomes permanently unavailable” which Nicolas Maduro is obviously not. Moreover the next in place if the president becomes unavailable is the vice president, not the leader of the National Assembly. The dude has no legal basis to claim the presidency. VOTER FRAUD ALERT: The @TXsecofstate discovered approx 95,000 individuals identified by DPS as non-U.S. citizens have a matching voter registration record in TX, approx 58,000 of whom have voted in TX elections. Any illegal vote deprives Americans of their voice. Will voter fraud be exposed before January?